Not SO unusual….. BUT….she made this hand as EAST before the first tile was thrown. This can only happen when one is EAST. 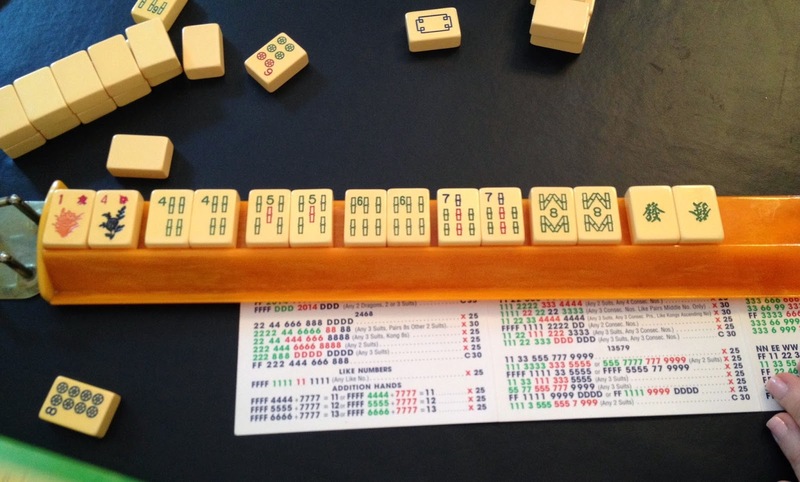 After the last right on which Barbara made a blind pass….she optioned one tile with WEST and received the tile that completed her Mah Jongg. So…instead of throwing the first tile….she exposed her Mah Jongg! Have you EVER seen this happen? It was a first for me…and Barbara, too. WOW! 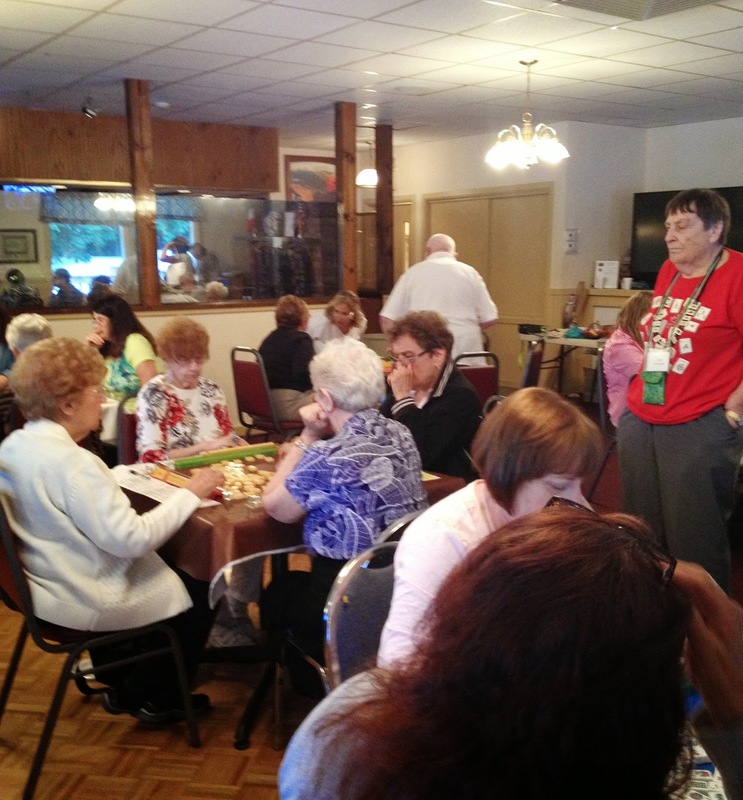 Most of us only dream of something like this happening and so, congratulations to Barbara on the equivalent of a Mah Jongg “hole-in-one.” Oh, BTW and not surprisingly, Barbara came in first at the tournament! I had always believed that this was not possible because the game hadn’t started yet; thinking the game begins with the first tile being thrown. In that case, E would have had to toss a tile then wait for that same tile to either be picked from the wall or tossed and claimed for the mahj. Is either a written rule or a “table” rule? Great question although I suspect this might be a table rule. I will check with some experts and get back to you! I believe the game begins when the Charleston and the courtesy is completed. Instead of throwing the first tile to begin the game, East declared Mahj and began and ended the game in one act. Truly a hole in one.